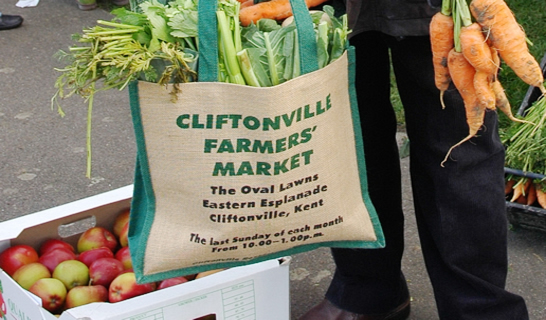 Cliftonville Farmers' Market was established in 2001 by the Cliftonville Residents Association. It is run entirely by volunteers who give their time freely and it is self funded. 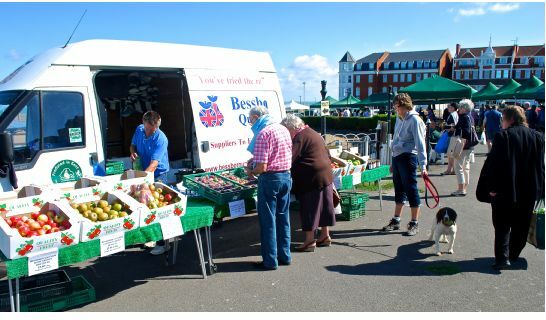 It won a Pride in Thanet Award 2008, highly commended in 2014 and won again in 2015 & 2016. It was also voted in the 'Top 3' of Kent Life & Kent on Sunday Food & Drink Awards 2014 winning in 2017. 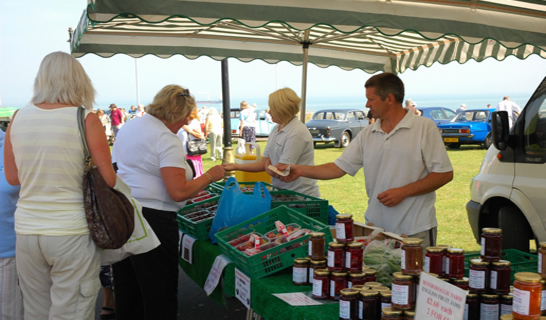 The Farmers' Market is located on the cliff top with wonderful sea views and surrounds the historic Oval Bandstand. If you are feeling energetic after the market there are some great cliff top walks and sandy beaches ! 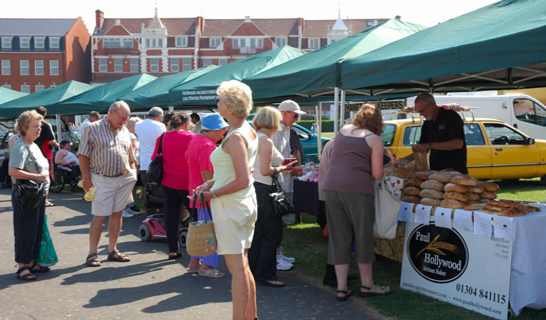 We are dedicated to promoting good quality food at fair prices. Our producers sell meat, speciality pies, seasonal veg & fruit, cheese, artisan bread, vegetarian slices, free range eggs, duck eggs, cakes, fudge, local honey, luxury marshmallows, preserves, wild game, juices, olives, oils, vinegars, fresh fish, shell fish, Russian food, Hungarian specialities, smoked fish, cookies, ginger wine (seasonal), speciality teas, gourmet pies, meringues, savoury tarts, ethically sourced coffee, patisserie, plants, hanging baskets, fleeces and more. Turn Sunday shopping into a good day out !. 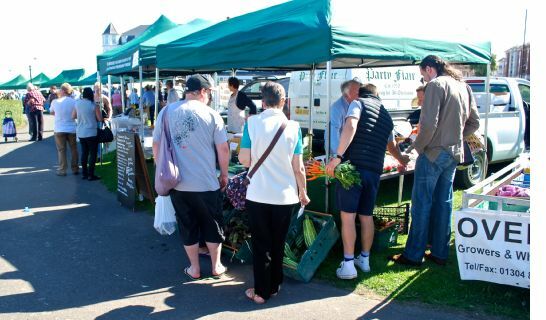 Go for a walk along the cliff tops, meander around the Farmers' Market and shop. Relax in one of the many local hotels close by which serve excellent Sunday lunches or buy from the market and picnic on the lawns or on the sandy beach. The choice is yours. Don't forget to visit the TURNER CONTEMPORARY just round the corner in Margate, 01843 220253 and the Retro shops in the Old Town.